Lee Stiff joined the College of Education Board in 2016. He holds a doctorate in mathematics education from NC State, a master’s of mathematics from both Pennsylvania State University and Duke University, and a bachelor’s in mathematics from UNC-Chapel Hill. 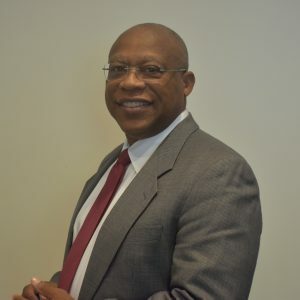 Lee currently serves as associate dean for faculty and academic affairs at the NC State College of Education, a position he began in 2018 after serving as interim associate dean for academic affairs the previous year. Since 1983, he has also been a professor of mathematics education in the college’s Department of Science, Technology, Engineering, and Mathematics Education. Early in his career, Lee taught mathematics in Hertford and Wake counties and was a professor of mathematics and mathematics education at UNC-Charlotte. He is a past president of the National Council of Teachers of Mathematics, and in 2010, Lee received NC State’s Distinguished Alumni Award for his outstanding contributions in the field of mathematics education and for his dedication to the mission and goals of the College of Education. In 1995, Lee and his wife, Renée, created the Agnes and Garfield Stiff Endowment, which supports graduate students in education by facilitating their ability to attend conferences and events through which they can share their research. The endowment was created in honor of Lee’s parents, who believed in the value of education.